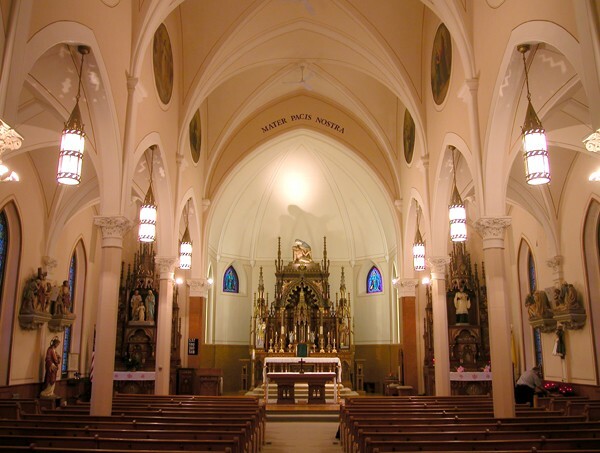 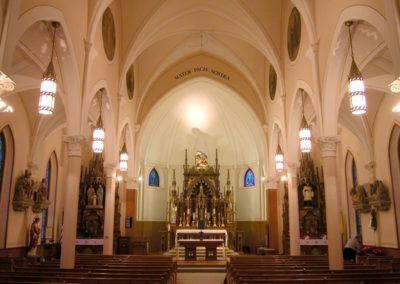 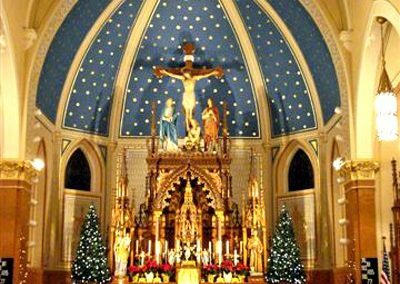 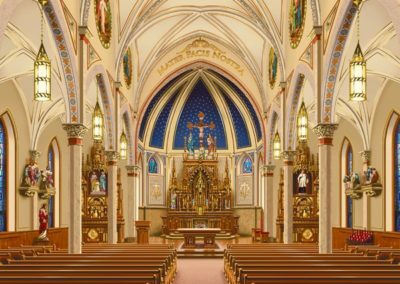 The restoration of St. Mary Catholic Church, Salem, South Dakota included the interior decorative painting, intricate stencils, gilding/glazing, along with the restoration of the high altar and statue restoration. 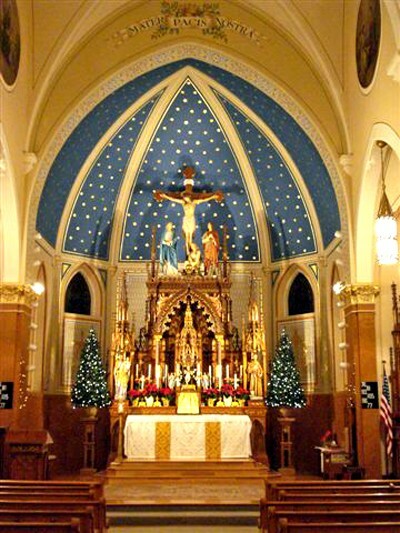 CSS provided the interior painting featuring a new decorative scheme with a blue ceiling and field of stars in the sanctuary. 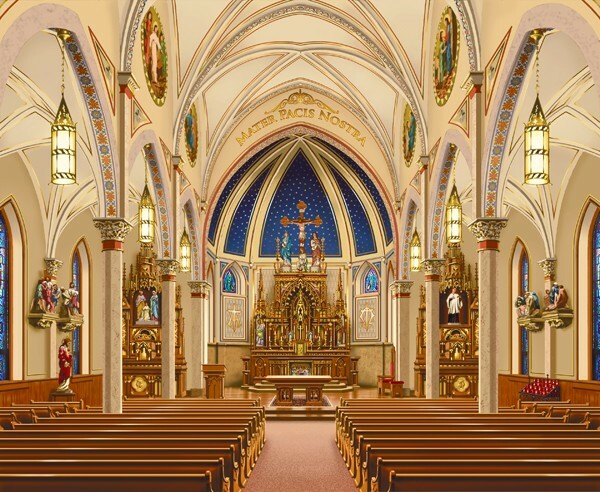 CSS designed the artwork for the proscenium arch containing the words Mater Pacis Nostra: meaning, Our Mother Peace. 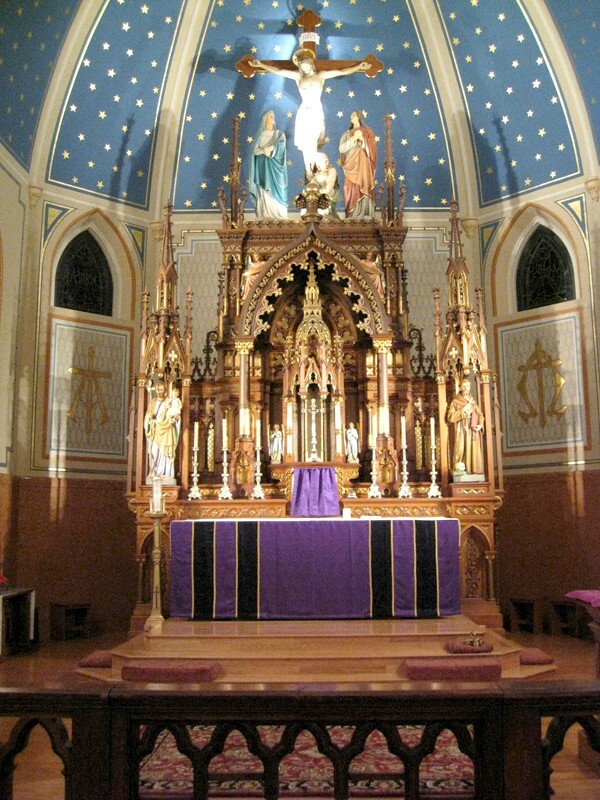 The original High Altar is now fully instituted and entirely restored ad orientem for all of their parish masses and is once again the primary and central altar of the church.